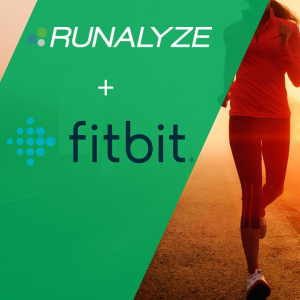 RUNALYZE now works with Fitbit. 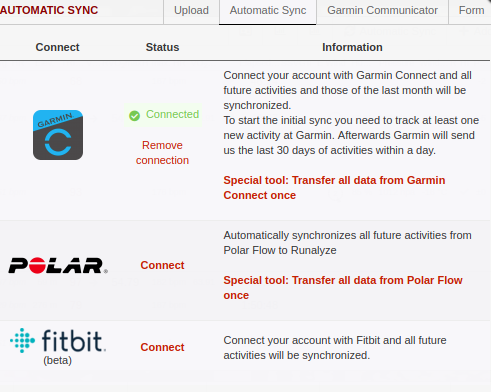 The automatic synchronization with Fitbit allows you to transfer your activities from Fitbit to Runalyze without any effort. For the beginning it is only possible to transfer activities from Fitbit. Once we have refactored the health area, other data will also be transferable. Can I sync my Fitbit history to RUNALYZE? Not yet, but we have this feature on our long to-do list. What about sleep, weight, heart rate data? We are refactoring the health section at RUNALYZE and it just don’t make sense to add the sync for that kind of data now. We will enable the sync after the refactoring of the health section. Well, that could be the problem with the “known issue”, but to be sure: Disconnect from Fitbit and connect your account again. And be sure to select “all” permissions to allow RUNALYZE accessing your data. For some users we don’t receive any data. We are not the only ones with this problem, but Fitbit has not yet responded to our request. That’s all. 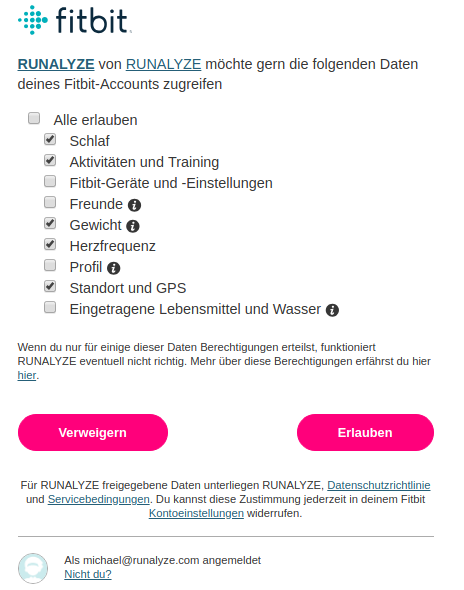 After you’ve recorded a new activity we will sync that activity automatically into your RUNALYZE account.